Parliament TV/Handout via ReutersDominic Chappell giving evidence to Parliament. Dominic Chappell received £2.6 million ($3.7 million) in fees, salary, and other payments from BHS during his time owning the department store, according to a letter sent to MPs. Chappell bought the struggling department store for just £1 from retail tycoon Sir Philip Green last year. BHS continued to struggle under Chappell’s ownership and collapsed into administration in April, with 11,000 jobs likely to be lost. Chappell confirmed the £2.6 million figure in writing after giving evidence to parliament on the department store’s collapse last Wednesday. The letter was sent on Friday and published on the inquiry’s website on Monday. £414,000 from BHS-owner Retail Acquisitions Ltd to Chappell: “These fees relate to the period post acquisition of BHS,” Chappell writes, saying they were “pre-agreed.” No details are given as to what the fees were for. £650,000 salary: This included benefits and bonuses. MPs will no doubt want to know more about the fees that Chappell charged to BHS. Former BHS CEO Darren Topp accused Chappell of having “his fingers in the till” during his evidence submission to MPs last week. Interim CFO Michael Hitchcock also says Retail Acquisitions took £17 million out of BHS during its 13-month ownership, although £10 million was reinvested. 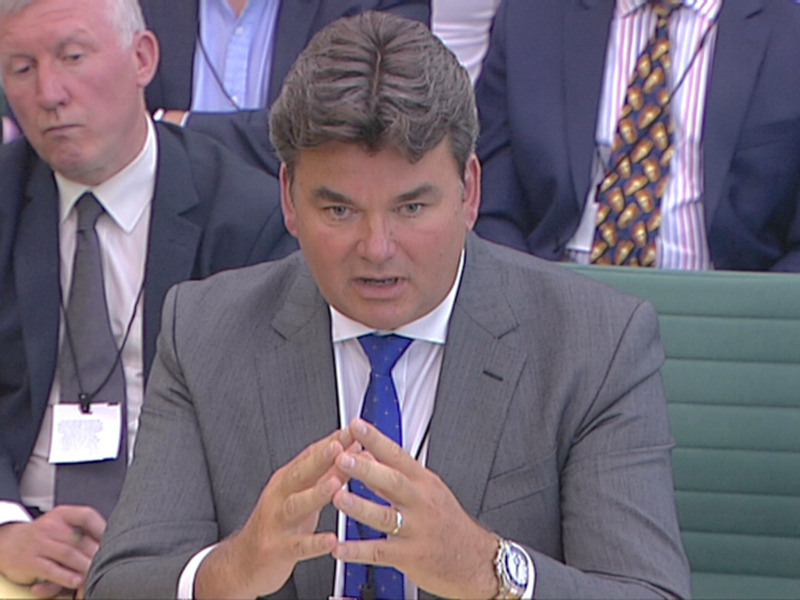 Chappell would not say how much profit exactly he had made, telling MPs he would provide them with a spreadsheet at a later date detailing the transactions between Retail Acquisitions and BHS. The £2.6 million will not represent pure profit as it does not include transactions going from Chappell to BHS. In the letter sent to the inquiry on Friday, Chappell also “corrects” evidence he gave to MPs last Wednesday. Chappell told the committee that a £1.5 million loan made by Retail Acquisition to a company that owned his father’s house was being repaid.